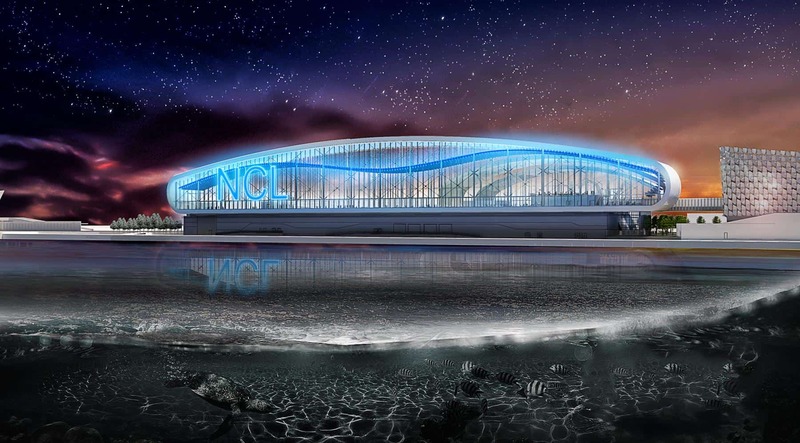 Norwegian Cruise Line Holdings Ltd., which operates the Norwegian Cruise Line, Oceania Cruises and Regent Seven Seas Cruises brands, recently unveiled the design of the new and dedicated Norwegian Cruise Line terminal at PortMiami. The terminal at PortMiami represents the continued relationship and strong ties between Norwegian and Miami, which has been the company’s home since its launch in 1966. Pending the final approval by the Miami-Dade County Board of County Commissioners, the project will commence in May 2018, and is scheduled for completion by the fall of 2019, as Norwegian Encore, the newest ship of the Breakaway Plus class, makes her debut in Miami with seasonal cruises to the Caribbean. The project will commence in May 2018, and is scheduled for completion by the fall of 2019, as Norwegian Encore, the newest ship of the Breakaway Plus class, makes her debut in Miami with seasonal cruises to the Caribbean. Norwegian is widely recognized for introducing modern-day cruising more than 50 years ago, by transforming a common means of transportation to a new style of vacation with its first Caribbean voyages out of the port of Miami and launching the city’s status as the “cruising capital of the world.” As a result of the continued relationship, Miami-Dade County will invest $100 million to build a new terminal dedicated to Norwegian Cruise Line, with Norwegian Cruise Line Holdings Ltd. augmenting the county’s allocated funds with its own contribution to PortMiami, as was unveiled recently at a press conference held at the 2018 Seatrade Cruise Global exhibition. Globally recognized for their award-winning designs and projects around the world, the Miami-based firm of Bermello Ajamil & Partners Inc., was selected to design the new terminal. The project will be constructed to LEED Silver standards, focusing on innovation in design and terminal operation to create a platform that will optimize energy performance, indoor air quality, water efficiencies and maximize the use of local materials and resources. After the press conference, attendees were able to get a close-up look of the new terminal through an interactive 3D virtual reality experience and model on display. “The new Norwegian terminal will set the standard for passenger comfort and experience and will become an iconic building on Miami’s waterfront, a true representation of the role that Norwegian and PortMiami played as the pioneers of modern cruising,” says Luis Ajamil, president and chief executive officer of Bermello Ajamil & Partners, Inc.
Norwegian Cruise Line maintains an ongoing commitment to Miami, offering new and enhanced itineraries and ships for guests to discover year round with the freedom and flexibility they can only experience with Norwegian at sea. For additional information or to book a cruise aboard one of Norwegian’s newest ships, contact a travel professional, call Norwegian at 888-NCL-CRUISE (625-2784), or visit www.ncl.com.